VISIOL® contains 2% sodium hyaluronate and mannitol. VISIOL® displays both cohesive and dispersive behaviours. An optimal viscosity of 60,000 mPas at zero shear rate has been reached with the right balance between sodium hyaluronate (SH) molecular weight (1.8 million Da) and concentration (2%). Intraocular pressure (IOP) increase is considered a major post-operative consequence in cataract surgery despite viscoelastic removal. A clinical trial has shown that VISIOL® did not cause clinically significant elevation of IOP1 (see the figure below). 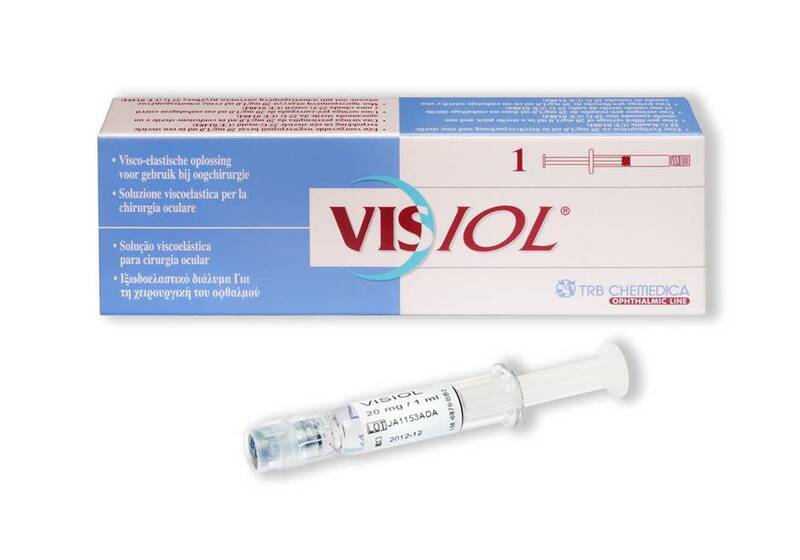 VISIOL® is a unique viscoelastic that contains the special combination of sodium hyaluronate and mannitol, a linear sugar-alcohol. Mannitol demonstrated the ability to prevent rapid breakdown of sodium hyaluronate chains by scavenging reactive oxygen species (ROS) (fig.1). Fig. 1: Mannitol reacts with ROS slowing down the degradation of the SH chains. The phacoemulsification step can generate ROS3. 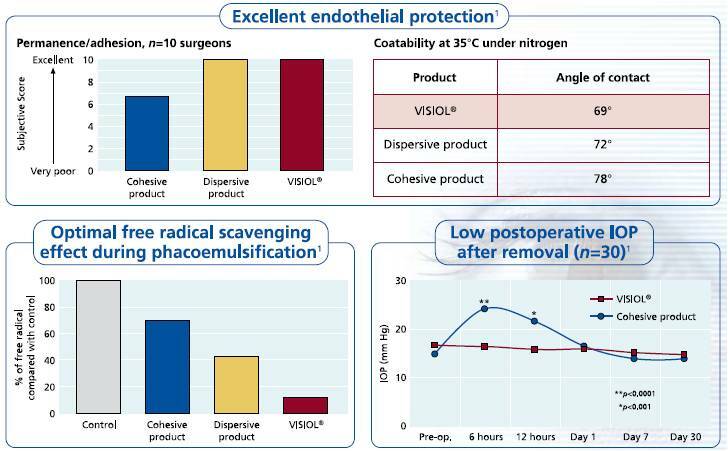 Thanks to the mannitol contained in VISIOL®, the SH chains are protected against rapid depolymerisation. 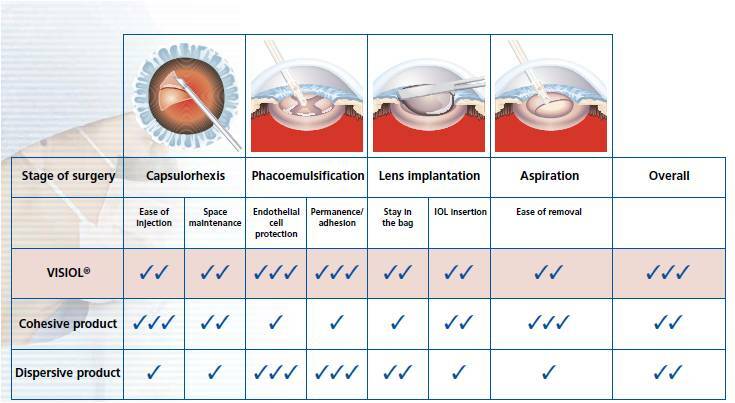 As a result, the product viscosity is maintained sufficiently high during the complete cataract surgery procedure until its removal (fig. 2). Survey performed on 10 surgeons, data on file. 1 TRB Chemedica, data on file.